At St. Oswald’s Catholic Primary School, we encourage children to develop as individuals. One of the ways we try to encourage this is a ‘Play Leading Scheme’. The scheme promotes children’s well-being, abilities, social skills and team work. It also encourages the older children to organize games for the younger children, it promotes the children’s organization, communication and responsibility skills and most importantly they all have fun! We meet on a regular basis with Mr. Wall to discuss new games and play equipment and questions that the children want to ask. Our play leaders volunteer their time to support the younger pupils at play times to establish a happy play time for all children. 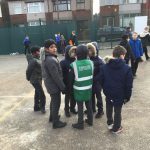 In September of this year, Mr Wall appointed 12 play leaders from Year 5 and they have received training on how to deliver different games at break time. 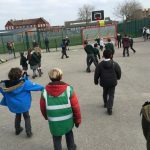 As well as delivering traditional playground games, the children have lots of play equipment to enjoy, ranging from hula hoops, skipping ropes, basketball, netball, bowling, football and dodgeball with more equipment on the way! 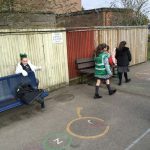 Another of the aims of the scheme is that it will increase the amount of physical activity undertaken during playtime/lunchtime and reduce the amount of behaviour issues on the playground. It is hoped there will be a whole school impact in terms of children’s behaviour both at lunchtime and in afternoon lessons. 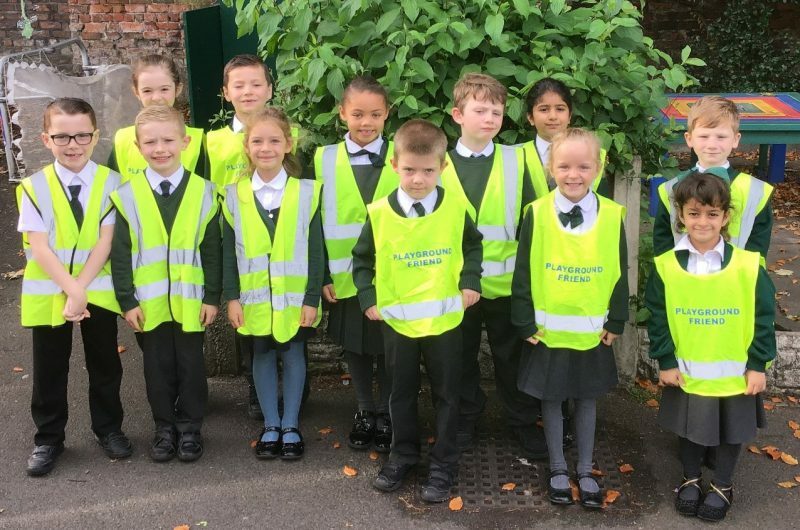 Our play leader Ambassadors are 12 children from Year 2 and 12 children from Year 1. 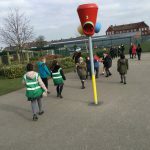 They are in the process of being trained by an outside tutor in the games that can be played on our playground. The aim of Play Leader Ambassadors is to encourage activity and fun in a structured way particularly at lunchtime. Our dinner ladies and TA’s will help organise a variety of games and our Ambassadors will be there to support the activities. You can help our children by telling them about the games you used to play in school. Could we incorporate some of these into our playground games? Stuck in the mud, May I, two balls and lots more. We would love your ideas. Have a look at all of our fantastic play leaders. Thank you to all of the children who wrote manifestos to tell their teachers why they think they should be play leaders. We could only choose 12 and it was a difficult decision. Congratulations to the chosen 12. These children will be responsible for getting play equipment out each playtime and lunchtime. 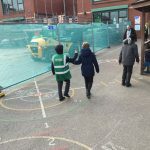 They will involve children in the KS1 playground to get involved in their fun games. They will make sure play times are fun, which will help to also make behaviour great. When appointed, the play leaders met with Mr Wall to discuss roles and responsibilities. 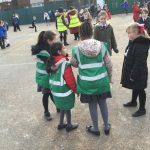 The children were introduced to traditional games and decided which games that they thought the children would enjoy at break and lunch time. Our children lead games with and without equipment, to benefit our children’s time outside. These games encourage: team work, courage, resilience and communication between children. The play leaders thrive on leading games and seeing smiles on the face of other children as a result of this. 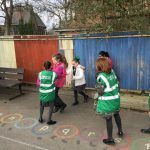 They enjoy delivering games such as: dodgeball and netball, which also benefits both intra school inter school competitions. A new range of equipment has been purchased this term, such as: skittles and bowling balls, hoops, tennis rackets, balls and many more! This is something that we continue to develop termly, using feedback from the play leaders and pupil voice.